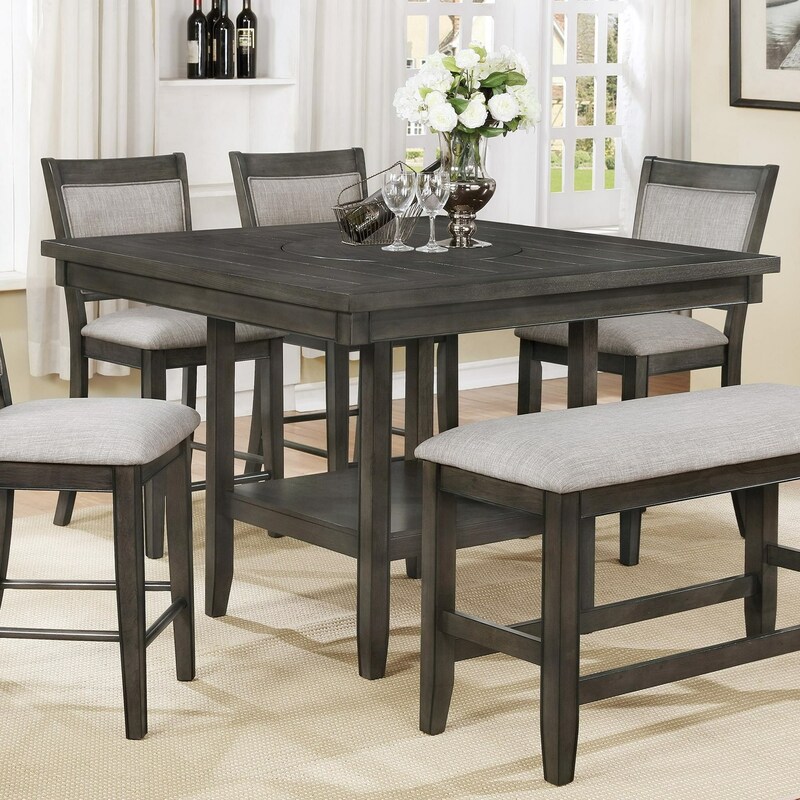 Complete your favorite home gathering place with this lovely modernized gathering table which carries a cozy casual appeal. This gathering table features a unique affixed base for storage and exhibition of decor, plank top in a rich finish, and a 20-inch Lazy Susan for easy table rotation. The pure comfort and stability of the table strengthens the coziness of your dining experience, allowing you to continue your dinner conversations for hours. The Fulton Counter Height Table with 20-Inch Lazy Susan by Crown Mark at Miskelly Furniture in the Jackson, Pearl, Madison, Ridgeland, Flowood Mississippi area. Product availability may vary. Contact us for the most current availability on this product. The Fulton collection is a great option if you are looking for Transitional furniture in the Jackson, Pearl, Madison, Ridgeland, Flowood Mississippi area. Browse other items in the Fulton collection from Miskelly Furniture in the Jackson, Pearl, Madison, Ridgeland, Flowood Mississippi area.